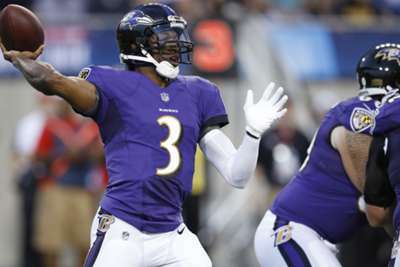 Robert Griffin III has returned to the Baltimore Ravens as Lamar Jackson's backup. The Ravens have agreed to bring back Griffin III on a two-year deal. Baltimore brought in Griffin on a one-year contract last season to serve as Joe Flacco's deputy and as a temporary safety blanket for Jackson as the rookie learned the offense. The team carried three quarterbacks during the year to prevent losing Griffin, as he was said to be a good presence in the locker room for Jackson. Griffin went 2 of 6 for 21 yards for Baltimore last season after sitting out all of 2017.